Featuring the proud natural, cultural, and historical heritage that Americans have inherited from their ancestors, the America the Beautiful series of coins aims to portray the rich beauty of this great nation. 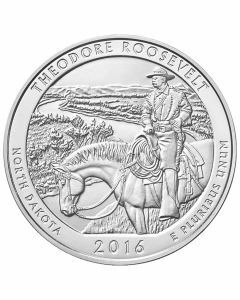 The 2016 ATB series feature 5 releases of silver coins and are available for purchase at SD Bullion. 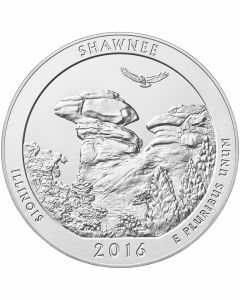 Inspired by the State Quarters program, the America’s Beautiful National Parks Quarter Dollar Coin Act of 2008 brought the America the Beautiful series of silver coins into existence. Although Congress passed the Act in 2008, the first coin in this series was released only in 2010. However, many throughout the precious metals market awaited its release patiently, resulting in the coins being a resounding success as soon as they were issued. Established in 1792, in Philadelphia, the United States Mint now holds a formidable standing in the precious metals market. Inimitable quality, brilliant designs, and pure precious metals have elevated the US Mint to one of the most trusted mints – making their products desirable to all. Every coin contains 5 troy ounces of .999 pure silver. This hefty amount of silver gives this coin ample surface area – allowing artists and engravers to unleash their creative potential, without worrying about being limited to a tiny space. The designs on each of the America the Beautiful coins are testament to this fact, displaying amazing artwork and imagery that pops out at the beholder. With a face value of $0.25 (25 cents), these coins are fully backed by the United States government. Moreover, they are eligible for use in precious metals IRAs, making them a viable contribution towards a comfortable retired life. 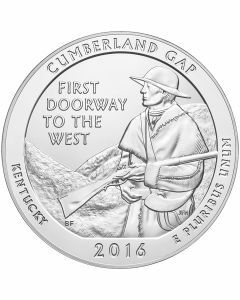 2016’s lineup of America the Beautiful (ATB) coins feature the following 5 coins – Fort Moultrie (South Carolina), Theodore Roosevelt National Park (North Dakota), Harpers Ferry (West Virginia), Shawnee (Illinois), and Cumberland Gap (Kentucky). Portraying President George Washington’s image on the obverse, like all other quarter dollars used in the country, these ATB coins also make use of that famous 1932 design that is still in use. However, the reverse of each ATB coin is unique, displaying various scenes, National Parks, and historical sites each year – taken from different states. These annually-changing designs make every coin unique in its own way. Additionally, as each coin features a scene or site from various states, collectors would love to have the complete set of coins that portray images from each proud state of the United States of America.